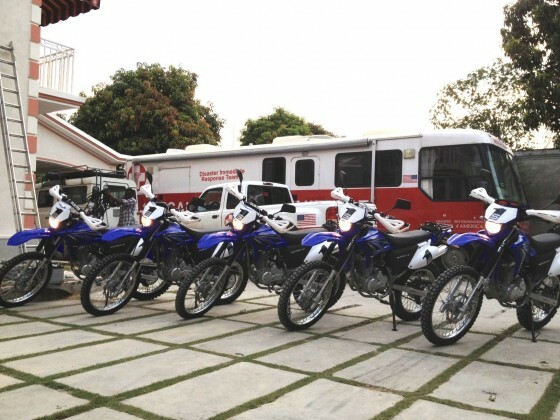 Photos just in of the new motorcycle fleet that we were able to purchase for the first ever all-Haitian Emergency Response Team in Haiti. These are motos purchased with donations ranging from $2 to $2000 from people just like you! 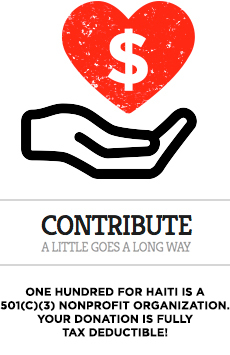 One Hundred For Haiti’s work is only possible with your support. Get creative and think of ways YOU can include your family, work, community, in the incredible projects we have going on! Bake sale? Sure. Info session at work with us skyping in and speaking to the group? Sure! 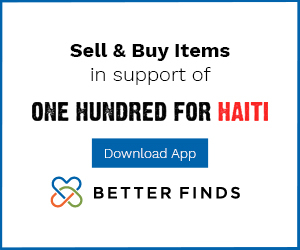 Local fundraiser themed to perserverance and dedication with Haiti as a throughline? Sure! Anything is a great idea as long as it has integrity and keeps the people we serve as the focus. Be in touch if you have questions! These motorcycles will be used to move responders to emergencies cutting through traffic and cutting down response times in ‘the golden hour’. 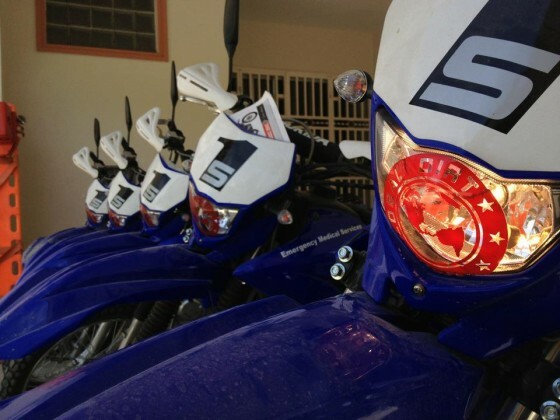 One Hundred for Haiti is incredibly excited about our newest partnership: we will be providing all of the vehicles (five motorcycles and one all terrain vehicle) for the first ever all-Haitian Emergency Medical Training program in Haiti. In collaboration with direct action emergency response team Global Dirt and the governments of Brazil and Canada, the new Moto Medics Program launched by Global Dirt in conjunction with us will provide emergency care by Haitians for Haitians wherever it is needed most and more importantly WHEN its needed most. The vehicles One Hundred For Haiti is providing will make the project possible and will save lives all over the Port au Prince area. Stay tuned for more details!